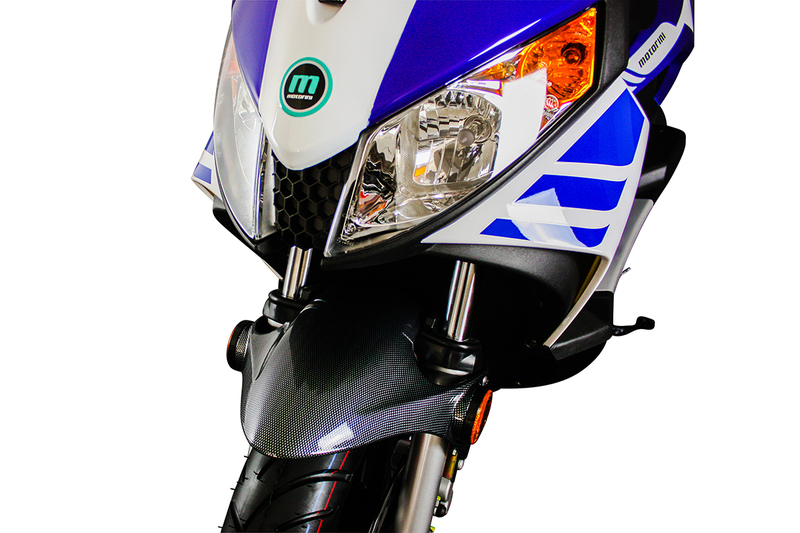 The Motorini GP 50i replicates all the features of its big brother the GP 125i with a blend of sporting style and everyday functionality. 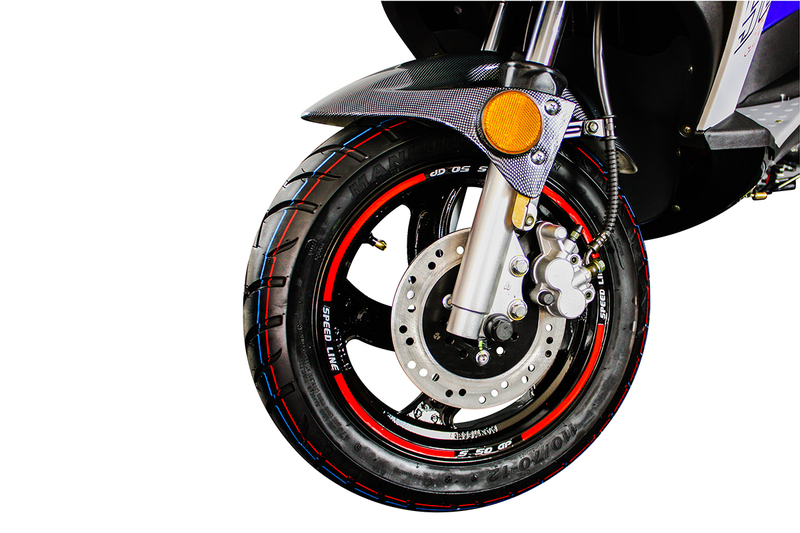 Available in striking cobalt metallic blue and pillar box red, both options are trimmed with bold graphics and rim tape. 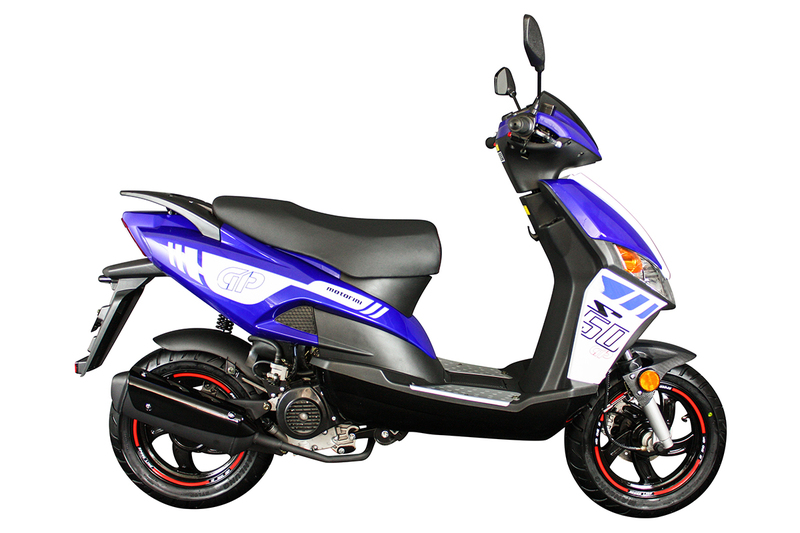 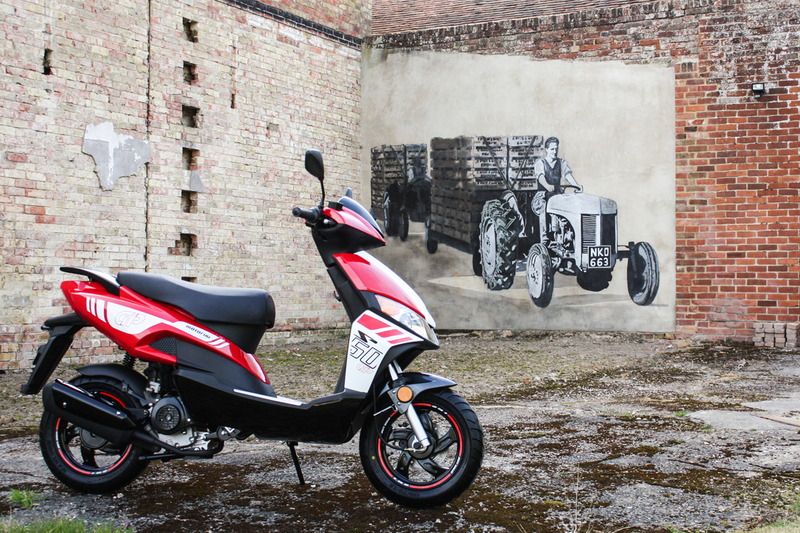 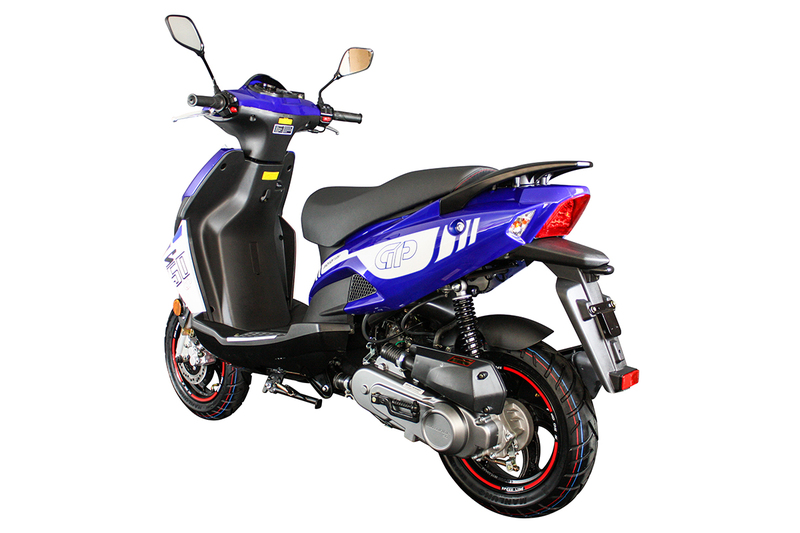 12" wheels ensure stable handling, whilst the single cylinder air cooled 50cc engine reaches its restricted speed swiftly. 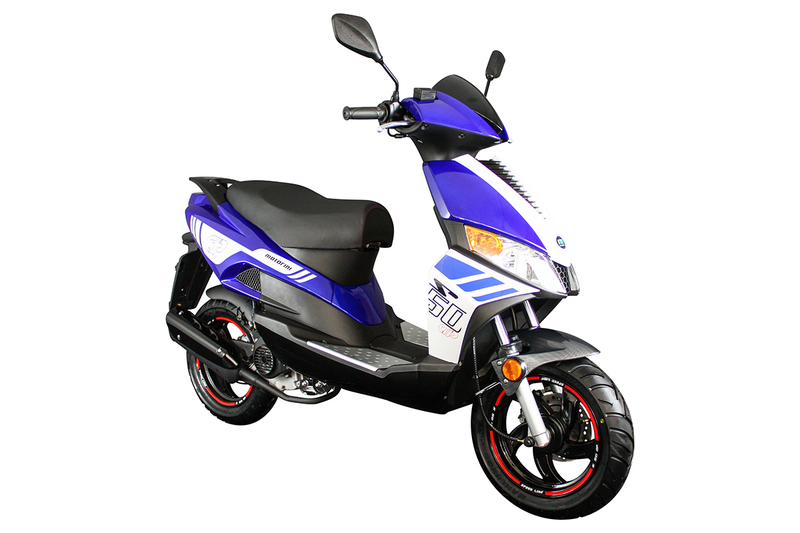 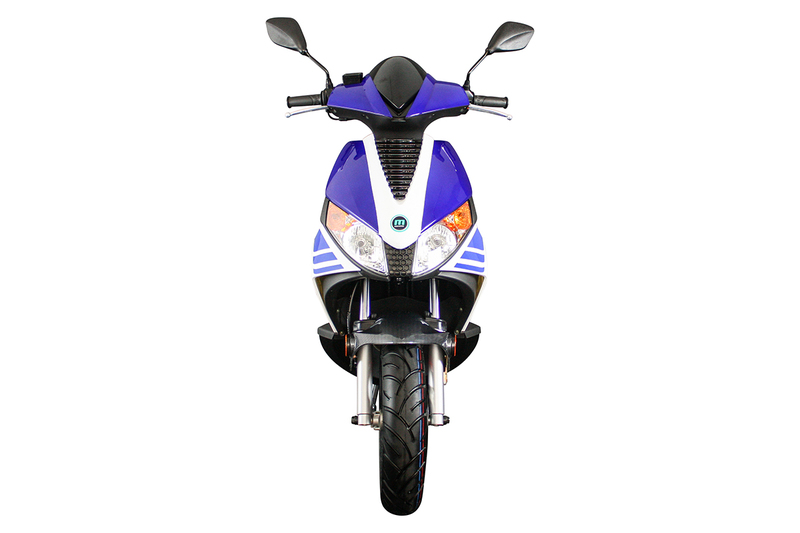 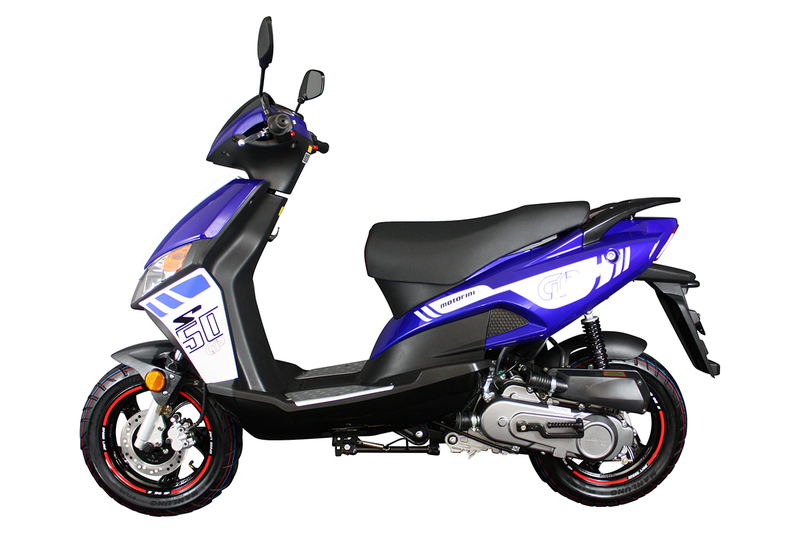 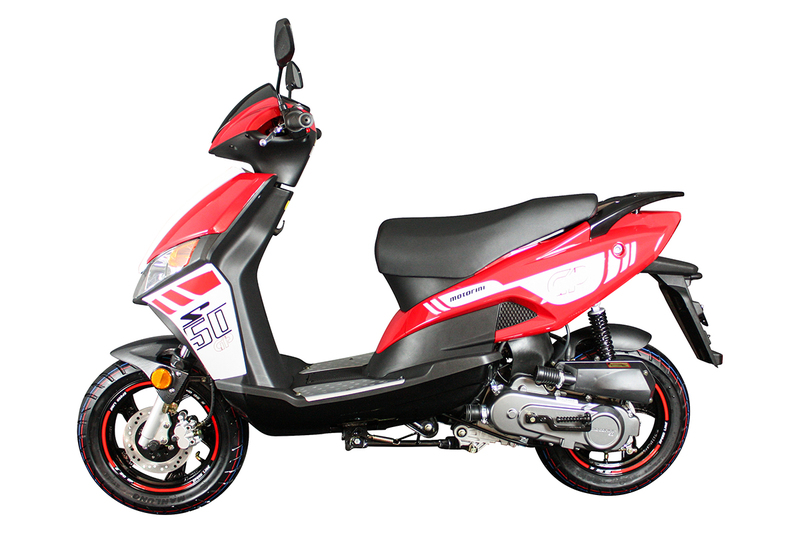 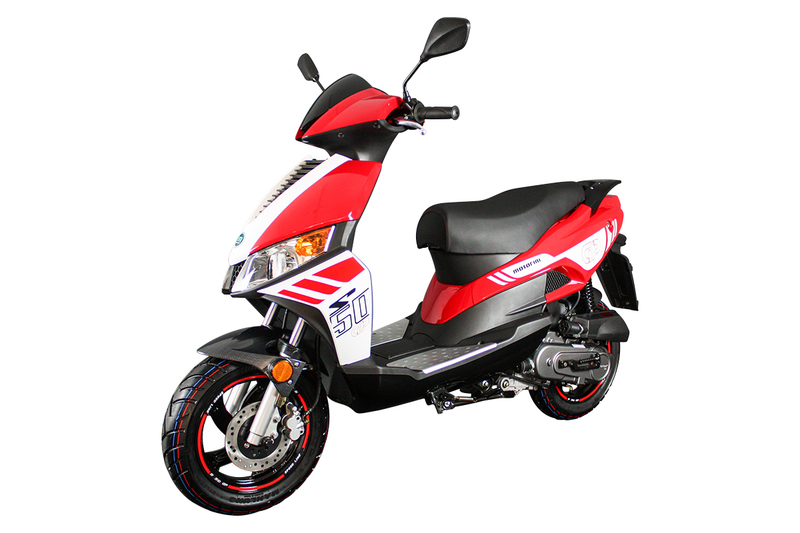 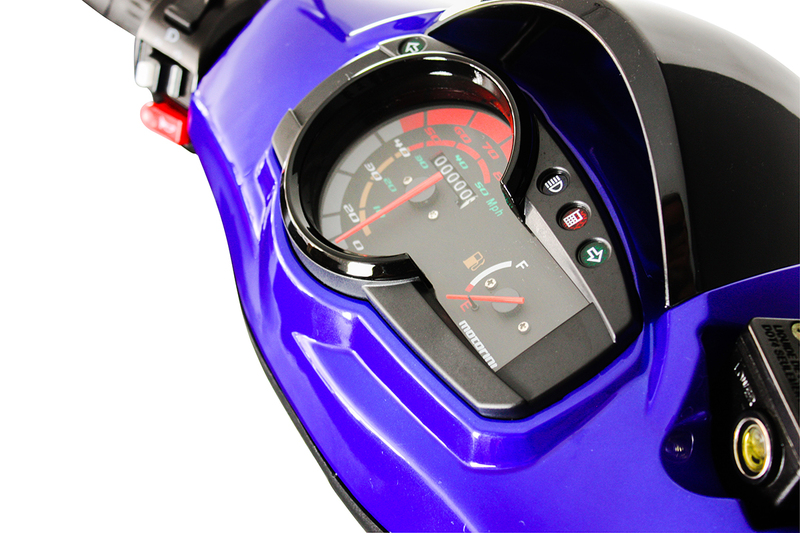 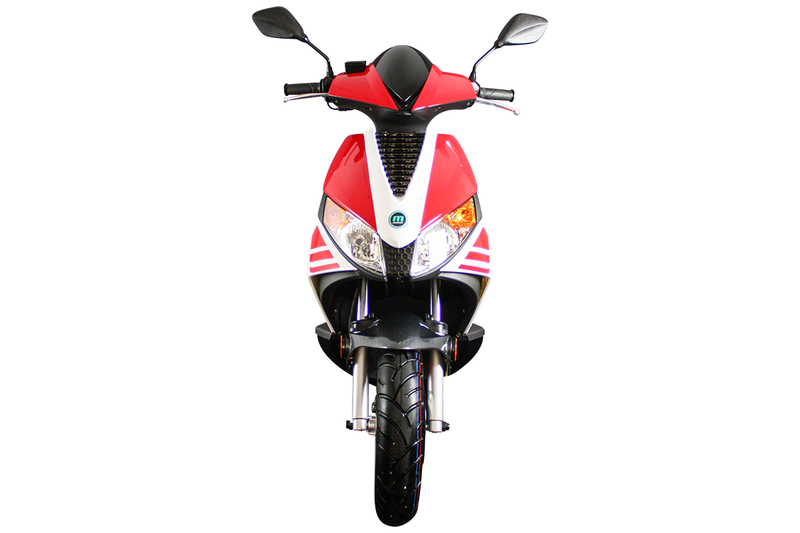 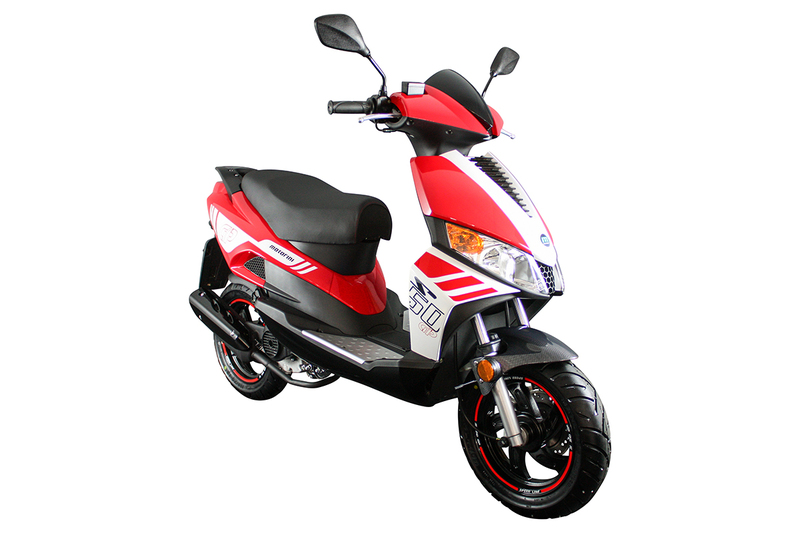 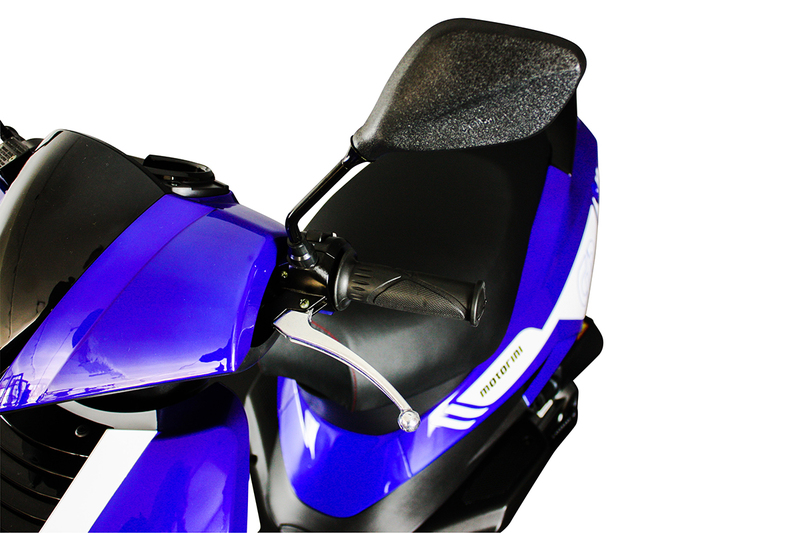 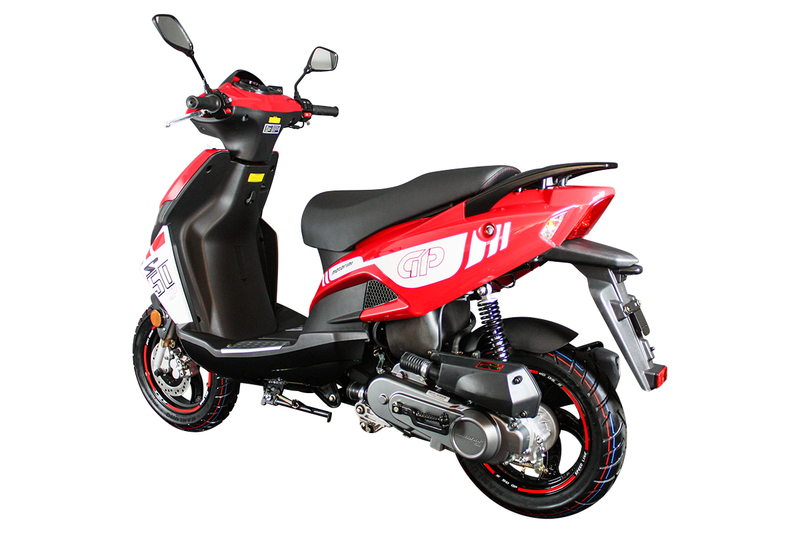 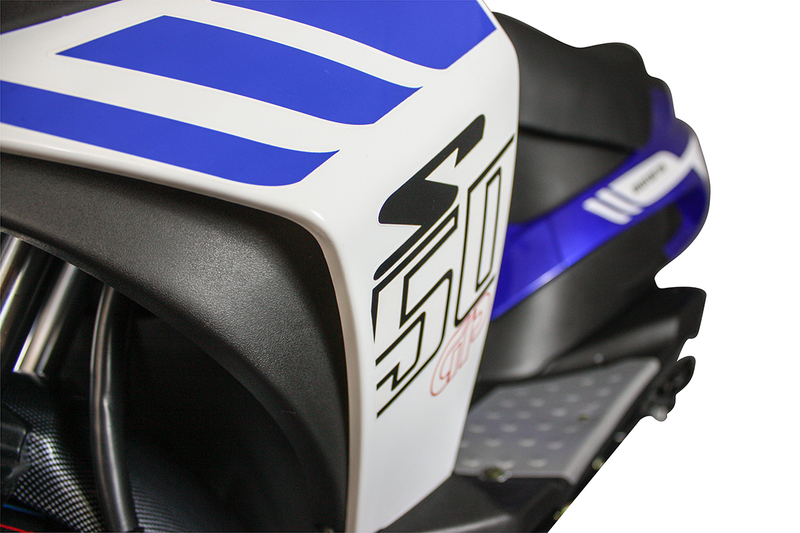 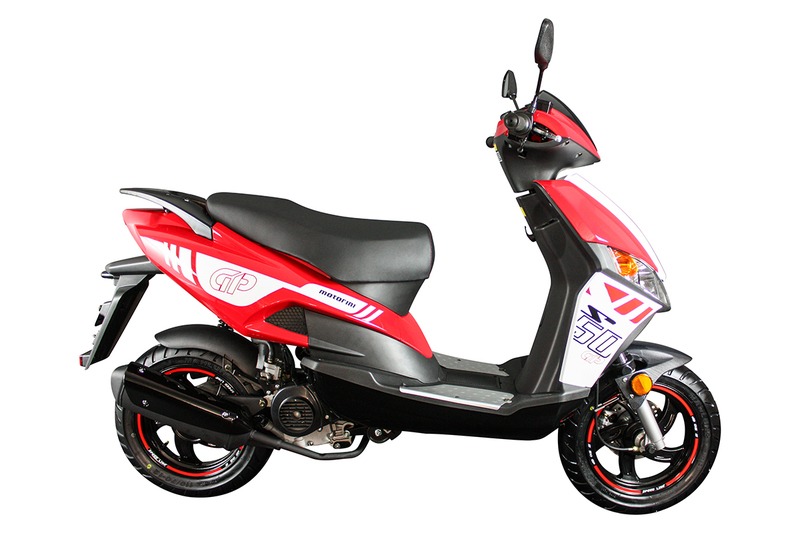 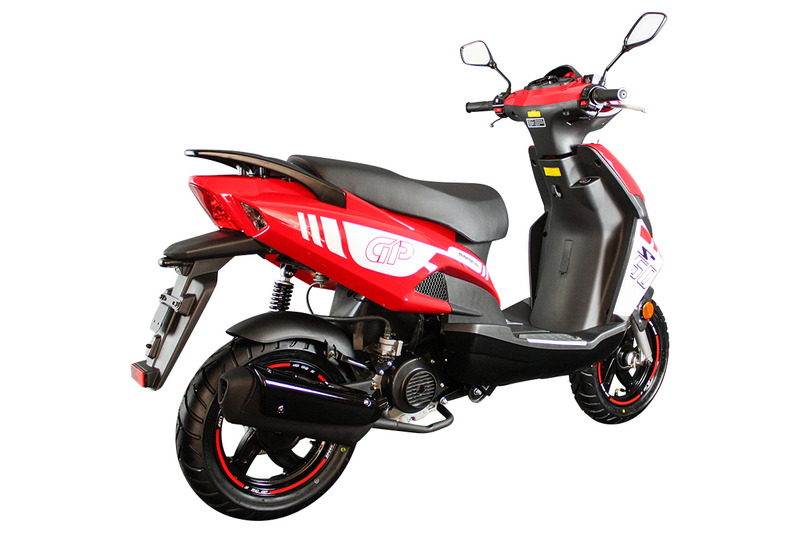 Looking at functionality, the GP 50 features; clear MPH dials, large LED rear light, silicone fork protectors, sleek wide mirrors for excellent rearward vision, rear grab handle which easily accommodates top box fitting, durable non-slip seat, under-seat storage, polished alloy levers and so much more.